Dale Ellis was a stone cold knockdown shooter during his NBA career. Former NBA star Dale Ellis stopped by to pay a visit on the ‘Derrick Gervin As Good As It Gets’ podcast. Ellis discussed the keys to his remarkable career that took him to the University of Tennessee where he was an All-American to the NBA, where he became one of the league’s first bonafide 3-point shooters during his 17 seasons, and the first NBA player to make 1,000 3-pointers. Ellis was the No. 9 overall pick in the 1983 draft by the Dallas Mavericks. However, he Ellis didn’t play much early in his career in Dallas. However, when he was traded to Seattle in 1987 his game took off. 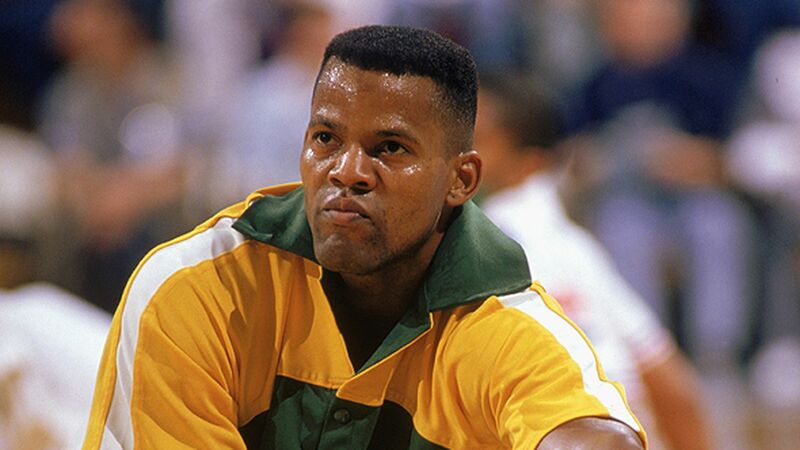 Sonics coach Bernie Bickerstaff moved the 6-foot-7 Ellis from forward to guard and unleashed Ellis’ shooting ability. He would average more than 20 points per game over the next four seasons, including 27.5 during the 1988-89 season. Click the link to listen to the interview, and check out highlights of Ellis.